Scéalaíocht i rith Seachtain na Gaeilge, leis an scéalaí Pádraig Ó Briain. Chuaigh Rang a 3 agus Rang a 4 ar thuras go dtí Graffiti Theatre agus Cloigíní Seandúin mar chuid dár gcéiliúradh i rith Seachtain na Gaeilge 2018. Bhí an-am acu! Ranganna 3+4 went on a history and drama tour as Gaeilge to Graffiti Theatre and Shandon Bells as part of our celebrations during Seachtain na Gaeilge 2018. They had a wonderful day out! Mo bhuíochas le gach uile páiste agus tuismitheoir a chabhraigh linn agus a shiúil linn sa pharáid ar Lá 'le Pádraig! Seo roinnt griangraf ón lá! 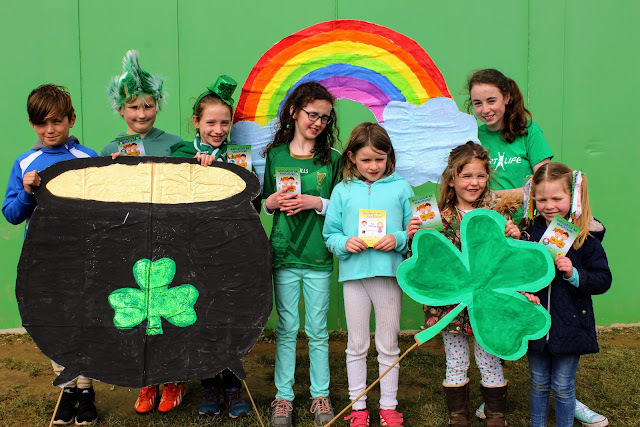 A huge thanks to all the parents and students that helped and/or walked with us in the St. Patrick's Day parade this year! Looking forward to next year already! Go n-eirí le Ellen Ní Chrualaíoch ó Rang 6 atá ag glacadh páirt (taking part) sa Spelling Bee ar sóin na scoile ar maidin (14/03/18) i mBaile an Róistigh (Rochestown)! 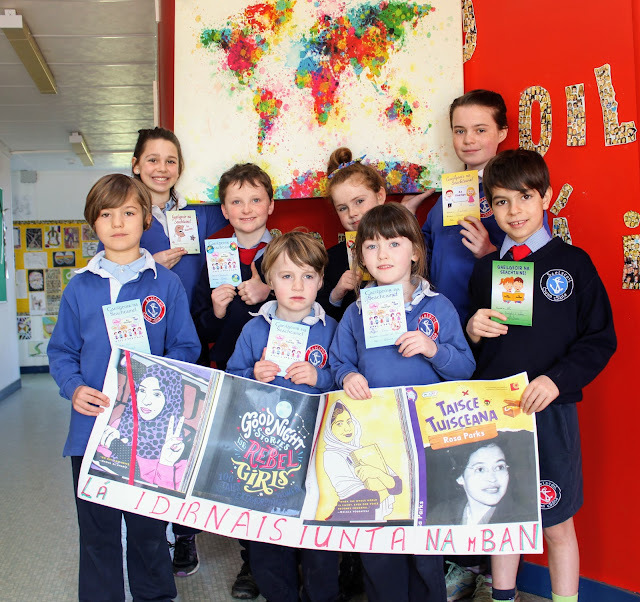 Rinneamar comórtas ar scoil agus bhí an bua aici. 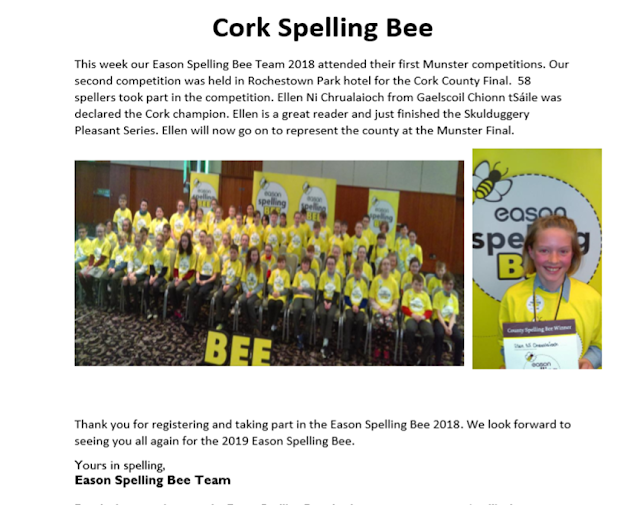 (She won the school round and is representing us at the county final. )Táimid go léir fíor- bhródúil aisti agus guímid gach rath uirthi! Best of luck Ellen! D'éirigh le Pádraig, Niall Óg, Liam agus Diarmuid babhta a 2 a bhaint amach sa tráth na gceist comhar creidmheasa ar an 10/03/18. D'éirigh go han-mhaith leo. Árd-fhir! 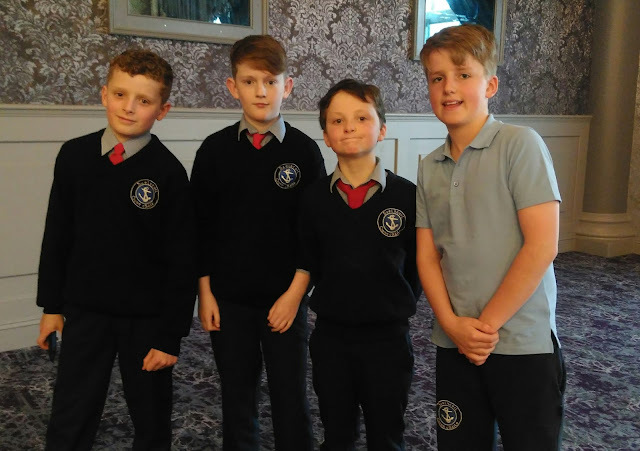 Pádraig, Niall Óg, Liam and Diarmuid qualified for the 2nd round of the Credit Union quiz held on the 10/03/18. They did very well. Well done! 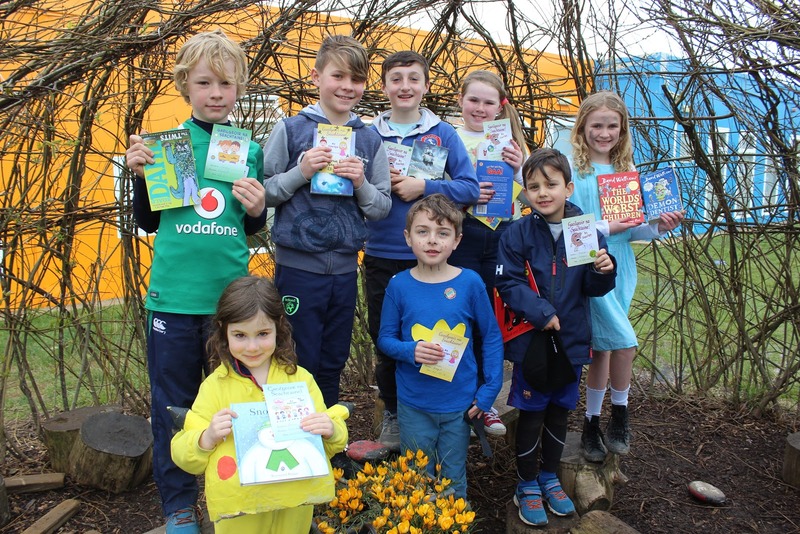 Beidh díospóireacht le Rang 6 ar siúl amárach 13/03/18 i Scoil Eoin, Inis Eonáin ag 11 ar maidin. Beidh bus ag fágaint na scoile ag 10.30 le rang a 6 ar fad ag dul agus ag filleadh roimh deireadh an lae. Tá €3 le híoc ar líne anois don bhus. 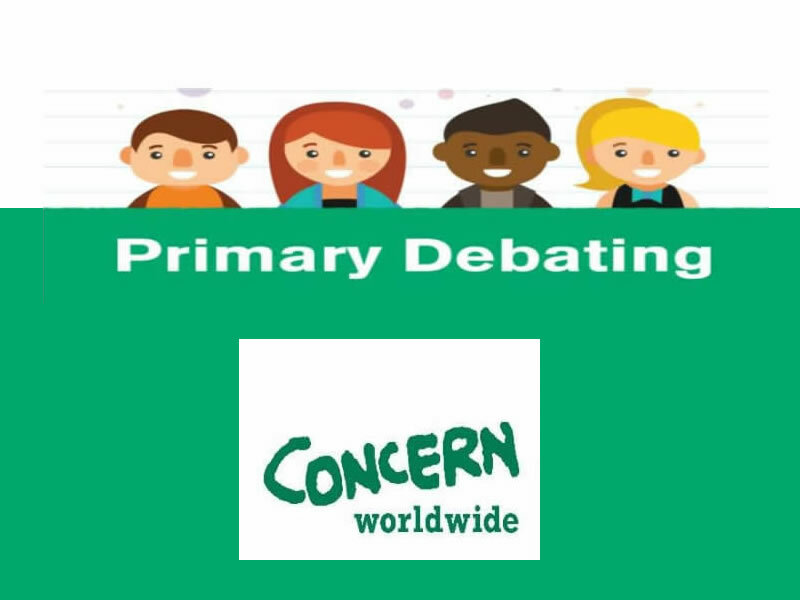 Rang a 6 will compete in the next round of the Primary Debating competition Tuesday 13/03/18. 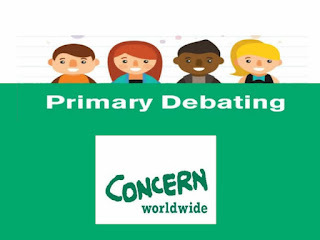 They will debate against Scoil Eoin, Innishannon with all of 6th class attending. Bus will leave the school at 10.30am and return before end of the day. €3 is due to be paid online for the bus. Go raibh maith agaibh agus go n-eirí leo amárach!